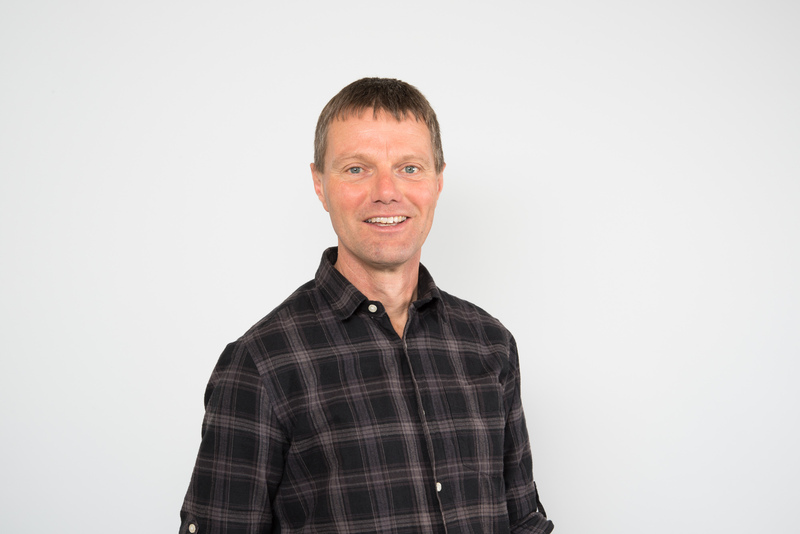 Dr. Jannes Stolte has more than 20-year experience in fundamental and applied research in the area of watershed management and soil hydrology. His interest has been focused on land-hydrology interactions at different spatial, temporal and climate scales, with special attention to soil physical processes and soil degradation. He is working as a scientist at NIBIO, dealing with soil and water related research with focus on water and sediment pathways in small catchments in Norway. Jannes is heading the department for Soil and Land use, Environment and Natural resources division, with a total of 17 researchers and research assistants. In cold climate regions a significant fraction of annual soil erosion in agricultural land occurs during snowmelt and rain on partially frozen soils. Physically based and spatially distributed soil erosion models have proved to be good tools for understanding the processes occurring at catchment scale during rainfall erosion. However, most existing erosion models do not account for snow in a suitable way. A combination of the UEBGrid snow pack model and the LISEM erosion model was therefore used in this study. The aim was to test and validate this model combination and to assess its utility in relation to quantification and process understanding. Applying this model combination to simulate surface runoff and soil erosion showed that, in principle, it is possible to satisfactorily simulate surface runoff and observed soil erosion patterns during winter. The values for the calibration parameters were similar for the two chosen winter periods when the rainfall and snowmelt episodes occurred. However, the calibration procedure showed that the utility of this combination had several limitations. It is hoped that this study can help to improve existing models and trigger new developments in including snow pack dynamics and soil freezing and thawing in soil erosion models. In the Nordic countries, soil erosion rates in winter and early spring can exceed those at other times of the year. In particular, snowmelt, combined with rain and soil frost, leads to severe soil erosion, even, e.g., in low risk areas in Norway. In southern Norway, previous attempts to predict soil erosion during winter and spring have not been very accurate owing to a lack of catchment-based data, resulting in a poor understanding of hydrological processes during winter. Therefore, a field study was carried out over three consecutive winters (2013, 2014 and 2015) to gather relevant data. In parallel, the development of the snow cover, soil temperature and ice content during these three winters was simulated with the Simultaneous Heat and Water (SHAW) model for two different soils (sand, clay). The field observations carried out in winter revealed high complexity and diversity in the hydrological processes occurring in the catchment. Major soil erosion was caused by a small rain event on frozen ground before snow cover was established, while snowmelt played no significant role in terms of soil erosion in the study period. Four factors that determine the extent of runoff and erosion were of particular importance: (1) soil water content at freezing; (2) whether soil is frozen or unfrozen at a particular moment; (3) the state of the snow pack; and (4) tillage practices prior to winter. SHAW performed well in this application and proved that it is a valuable tool for investigating and simulating snow cover development, soil temperature and extent of freezing in soil profiles. Climate change is expected to alter average temperature and precipitation values and to increase the variability of precipitation events, which may lead to even more intense and frequent water hazards. Water hazards engineering is the branch of engineering concerned with the application of scientific and engineering principles for protection of human populations from the effects of water hazards; protection of environments, both local and global, from the potentially deleterious effects of water hazards; and improvement of environmental quality for mitigating the negative effects of water hazards. An integrated approach of water hazards engineering based on mapping, nature-based and technical solutions will constitute a feasible solution in the process of adapting to challenges generated by climate changes worldwide. This paper will debate this concept also providing some examples from several European countries. Shallow (<1 m deep) snowpacks on agricultural areas are an important hydrological component in many countries, which determines how much meltwater is potentially available for overland flow, causing soil erosion and flooding at the end of winter. Therefore, it is important to understand the development of shallow snowpacks in a spatially distributed manner. This study combined field observations with spatially distributed snow modelling using the UEBGrid model, for three consecutive winters (2013–2015) in southern Norway. Model performance was evaluated by comparing the spatially distributed snow water equivalent (SWE) measurements over time with the simulated SWE. UEBGrid replicated SWE development at catchment scale with satisfactory accuracy for the three winters. The different calibration approaches which were necessary for winters 2013 and 2015 showed the delicacy of modelling the change in shallow snowpacks. Especially the refreezing of meltwater and prohibited runoff and infiltration of meltwater by frozen soils and ice layers can make simulations of shallow snowpacks challenging. Land management and spatial planning are closely linked to the adaptation of water management to climate change impacts. Land management has an influence on the ability of the soil to retain precipitation or flood water and sustainable land use can help to better manage risks related to both increased precipitation/flooding and water scarcity. Land and soil management can also realize significant synergies between climate change adaptation and mitigation. Agriculture as a key form of land use will play a crucial role in adaptive spatial planning approaches. Intensive agriculture in flood-prone areas is at risk of substantial economic loss in the case of flooding. On the other hand, the increased challenges for flood risk management will create a demand for new ways of accommodating flood water and managing flows, which may increase economic opportunities for water farming. There are sufficient reasons to understand land drainage arrangements importance. Drainage has been identified as the forgotten factor in sustaining a sustainable irrigated agriculture. Surface and subsurface drainage provides a lot of functions that meet some actual and challenging needs. Some of these functions are: resource base protection for food production; sustaining and increasing the yields and rural incomes; irrigation investment protection etc. This paper is based on an analysis of managing water excess in north-western Romania using Romanian expertise in this field but also the results from some bilateral projects between Romania, Norway and Iceland. In the Nordic countries, changes in pore structure during winter can affect e.g. water transport capacity in soils after winter. A reduction in pore space can cause an increase in runoff volume due to snowmelt and rain, resulting in flooding and soil erosion. This study quantified the effect of freezing-thawing cycles (FTCs) on the macropore structure of a silt and a sandy soil. Six consecutive FTCs were applied to intact soil samples, which were scanned after 0, 1, 2, 4 and 6 FTCs with an industrial X-ray scanner. Using state-of-the-art image processing and analysis techniques, changes in soil macropore network characteristics were quantified. The results showed that freezing-thawing affected the looser sandy soil more than the silt with its more cohesive structure. However, in both soils freezing-thawing had a negative effect on properties of macropore networks (e.g. reduction in macroporosity, thickness and specific surface area of macropores). These findings can help improve understanding of how undisturbed soils react to different winter conditions, which can be beneficial in the development of models for predicting flooding and soil erosion. Interview – European soil threats - what, where and why? Gulden, K.T. & Stolte, J. (Interview). 2016. European soil threats - what, where and why?. sciencedaily.com, 04.02.2016. Available at: https://www.sciencedaily.com/releases/2016/02/160204085057.htm. Interview – European soil threats: what, where and why? Gulden, K.T. & Stolte, J. (Interview). 2016. European soil threats: what, where and why?. nibio.no, 04.02.2016. Available at: http://www.nibio.no/nyheter/european-soil-threats-what-where-and-why. Mulder, J., Zhu, J., Dörsch, P., Yu, L., Zhang, X., Wang, Z., Duan, L., Wang, Y., Vogt, R.D., Larssen, T. & Stolte, J. 2016. N saturation, denitrification and N2O emission in subtropical forest, S. China (Lecture). Guest lecture, Uppsala. Despite numerous research efforts over the last decades, integrating the concept of ecosystem services into land management decision-making continues to pose considerable challenges. Researchers have developed many different frameworks to operationalize the concept, but these are often specific to a certain issue and each has their own definitions and understandings of particular terms. Based on a comprehensive review of the current scientific debate, the EU FP7 project RECARE proposes an adapted framework for soil-related ecosystem services that is suited for practical application in the prevention and remediation of soil degradation across Europe. We have adapted existing frameworks by integrating components from soil science while attempting to introduce a consistent terminology that is understandable to a variety of stakeholders. RECARE aims to assess how soil threats and prevention and remediation measures affect ecosystem services. Changes in the natural capital's properties influence soil processes, which support the provision of ecosystem services. The benefits produced by these ecosystem services are explicitly or implicitly valued by individuals and society. This can influence decision- and policymaking at different scales, potentially leading to a societal response, such as improved land management. The proposed ecosystem services framework will be applied by the RECARE project in a transdisciplinary process. It will assist in singling out the most beneficial land management measures and in identifying trade-offs and win–win situations resulting from and impacted by European policies. The framework thus reflects the specific contributions soils make to ecosystem services and helps reveal changes in ecosystem services caused by soil management and policies impacting on soil. At the same time, the framework is simple and robust enough for practical application in assessing soil threats and their management with stakeholders at various levels. EUR, (EUR 27607) 2016. 206 p.
Stolte, J., Tesfai, M., Øygarden, L., Kværnø, S.H., Keizer, J., Verheijen, F., Panagos, P., Ballabio, C. & Hessel, R. 2016. Soil threats in Europe: Status, methods, drivers and effects on ecosystem services. EUR (EUR 27607). 206 p. Joint Research Centre, Luxembourg. Available at: http://esdac.jrc.ec.europa.eu/public_path/shared_folder/doc_pub/EUR27607.pdf. Bioforsk-konferansen 2015. Sammendrag av presentasjoner og plakater. Bioforsk FOKUS 2(10) 2015. p. 90. Stolte, J., Tesfai, M. & Øygarden, L. 2015. Soil threats in Europe for the RECARE project (Poster). EGU 2015, Vienna. A physically-based, distributed hydrological model (MIKE SHE) was used to quantify overland runoff in response to four extreme rain events and four types of simulated land use measure in a catchment in Norway. The current land use in the catchment comprises arable lands, forest, urban areas and a stream that passes under a motorway at the catchment outlet. This model simulation study demonstrates how the composition and configuration of land use measures affect discharge at the catchment outlet differently in response to storms of different sizes. For example, clear-cutting on 30% of the catchment area produced a 60% increase in peak discharge and a 10% increase in total runoff resulting from a 50-year storm event in summer, but the effects on peak discharge were less pronounced during smaller storms. Reforestation of 60% of the catchment area was the most effective measure in reducing peak flows for smaller (2-, 5- and 10-year) storms. Introducing grassed waterways reduced water velocity in the stream and resulted in a 28% reduction in peak flow at the catchment outlet for the 50-year storm event. Overall, the results indicate that the specific effect of land use measures on catchment discharge depends on their spatial distribution and on the size and timing of storm events. Agriculture and Environemnt - Long term Monitoring in Norway. 2013. p. 163-179. Stolte, J. & Kværnø, S.H. 2013. Snowmelt and runoff in two small field-scale catchments. In: Bechmann, M. & Deelstra, J. (eds.) Agriculture and Environemnt - Long term Monitoring in Norway, p. 163-179. Akademika forlag. The source of input data for soil physical properties may contribute to uncertainty in simulated catchment response. The objective of this study was to quantify the uncertainty in catchment surface runoff and erosion predicted by the physically based model LISEM, as influenced by uncertainty in soil texture and SOM content, and the pedotransfer function derived soil water retention curve, hydraulic conductivity, aggregate stability and cohesion. LISEM was first calibrated using measured data in a sub-catchment, and then run for the whole catchment for a summer storm event with basic input data from two data sources: soil series specific generic data from the national soil survey database, and measured data collected in a grid within the catchment. The measured data were assigned in two ways: mean values per map unit, or random distribution (50 realizations) per map unit. The model was run both for a low risk situation (crop covered surface) and a high risk situation (without crop cover and with reduced aggregate stability and cohesion). The main results were that 1) using non-local database data yielded much higher peak discharge and five to six times higher soil loss than using locally measured data, 2) there was little difference in simulated runoff and soil loss between the two approaches (mean value versus randomdistribution) to assign locally measured data, 3) differences between the 50 random realizationswere insignificant, for both low-risk and high-risk situations, and 4) uncertainty related to input data could result in larger differences between runswith different input data source than between runswith the same input data source but extreme differences in erosion risk. The main conclusion was that inadequate choice of input data source can significantly affect general soil loss and the effect of measures. Bioforsk-konferansen 2012. Sammendrag og presentasjoner. Bioforsk FOKUS 2(7) 2012. p. 256-257. The ExFlood project started in 2010 and concentrates on the reduction of peak flow during extreme events. The project is in progress, and results are preliminary. The project is funded by the Norwegian Research Council, NORKLIMA program. Lecture – Forest in south China: An important sink for reactive nitrogen and a regional hotspot for N2O? Mulder, J., Zhang, X., Zhu, J., Dörsch, P., Stolte, J., Larssen, T., Duan, L. & Wang, Y. 2012. Forest in south China: An important sink for reactive nitrogen and a regional hotspot for N2O? (Lecture). Gjesteforelesning, Changsha & Dagang (Jiangxi). Mulder, J., Zhu, J.G., Dörsch, P., Sørbotten, L., Stolte, J., Larssen, T., Duan, L., Zhang, X. & Wang, Y. 2011. Forest in south China: An important sink for reactive nitrogen and a regional hotspot for N2O? (Lecture). Workshop “Nitrogen red/ox metabolism, regulation and N2O emission from soils”, China Agricultural University., Bejing, China. Stolte, J., Shi, X. & Ritsema, C.J. 2009. Introduction: Soil erosion and nutrient losses in the Hilly Purple Soil area in China. Soil & Tillage Research, 105(2): 283-284. doi: 10.1016/j.still.2009.09.010. Doctoral dissertation – Effects of land use and infiltration behavior on soil conservation strategies. CIP data Koninklijke Bibliotheek, 2003. 145 p.
Stolte, J. 2003. Effects of land use and infiltration behavior on soil conservation strategies.. Doctoral dissertation, 145 p. CIP data Koninklijke Bibliotheek, Wageningen, Netherlands. Academic – Modelling water flow and sediment processes in a small gully system on the Loess Plateau of China.